So last week I went to New York, if you didn’t know? Haha jokes course you do, as I’m RIDICULOUS and pretty much put it on every form of social media. And whilst I was there I wanted to make sure that the outfit was on point, but totally comfortable too. After all who wants to travel 8 hours on a plane (with turbulence and no in-flight entertainment) and be totally uncomfortable. Not me. So, when the lovely people at Tessuti contacted in regards to collaborating on a pair of amazin’ Woden trainers, I was right on board. Picking out some rose gold beauts and throwing them on for the airport, I knew id be travelling in comfort yet bang on style. 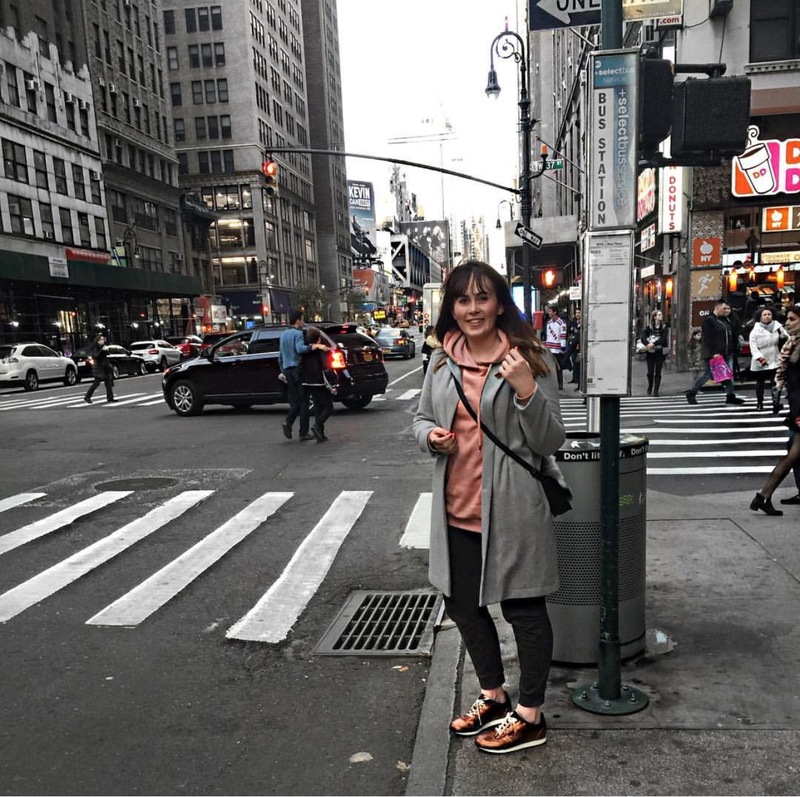 After around 8 hours, train rides and checkin’ in to NYC, I finally strutted around the streets, not only testing the trainers but taking in the sights too. Giddily walking around Times Square and attempting to shoot some photo’s whilst not looking ridiculously tired/rough, I give to you the below photo’s. Showing that these trainers added that lil’ pop to the outfit which was pretty much makin’ me resemble a sloth. And to me guys, that means they’re an absolute winner. Take a nosy below at a few pics of me attempting to act like a ‘real’ blogger who flicks her hair, struts across the streets whilst attempting to look effortlessly cool. Those shoes look so comfortable and I like how the hoodie ties it together with the rest of the outfit. Did you have fun in New York? Love your photos! What a city to shoot a blog collab in – amazing! !